One of the nice things about fall — in addition to the foliage, apples, pumpkins and cool weather — is going to the nursery clearance sales. Perennials that were out of my price range in July are suddenly a fraction of the cost. Perennials planted in the fall will pop up again next spring just like all the other perennials in the garden. Another nice thing about buying these plants late in the fall is that they are still blooming. Other than the sedum, my other perennials faded a few weeks ago. 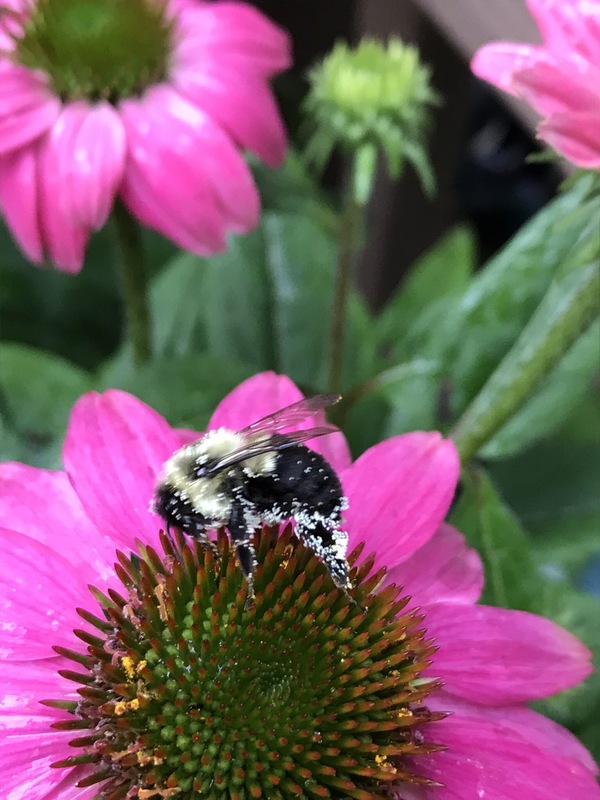 Now I have some nice pink and white coneflower blooms that are attracting a lot of bees, especially bumble bees. 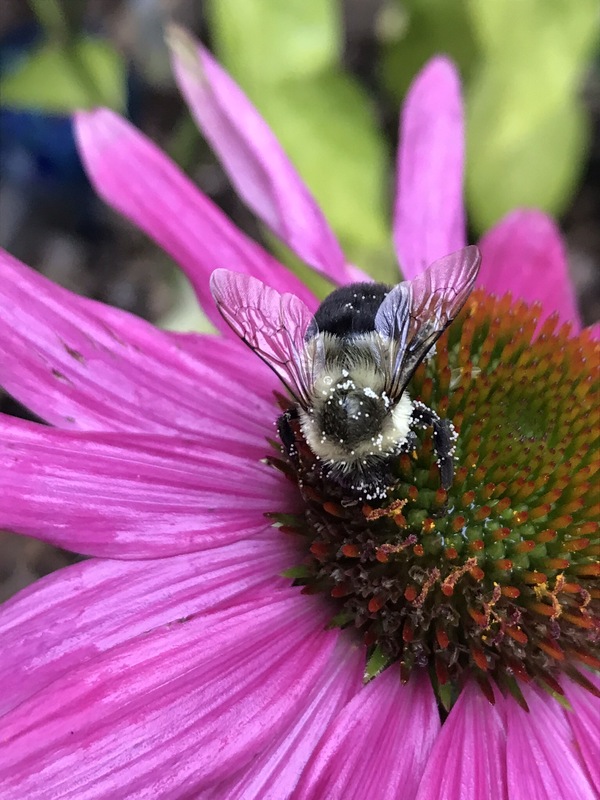 The bee in the accompanying photos is obviously finding its fill of pollen. 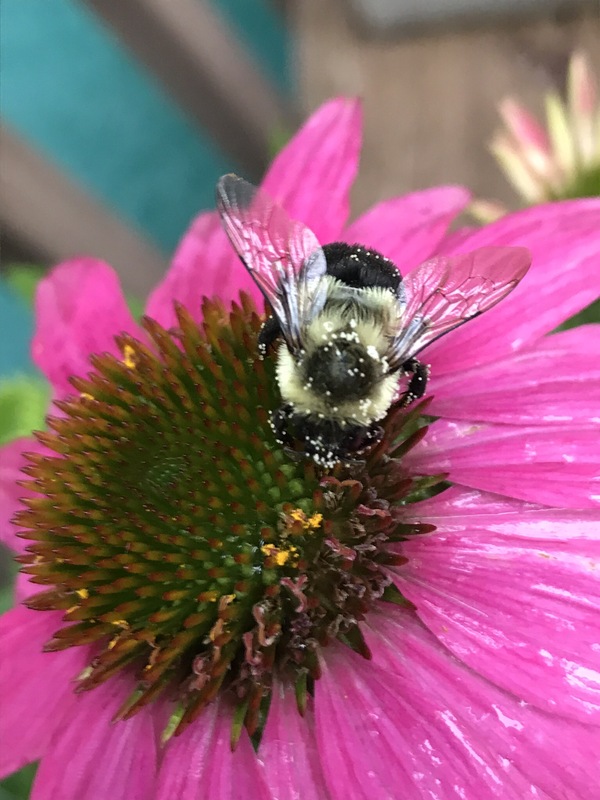 This entry was posted in backyard birding and tagged bee with pollen by Chris Bosak. Bookmark the permalink.